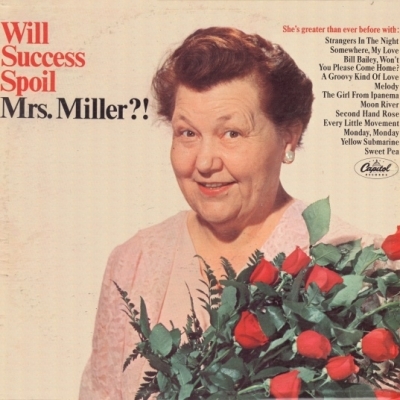 Elva Ruby Miller sang in a shrill, off-key voice with excessive vibrato, yet had several albums in the 1960s. Listen to her rendition of Downtown here. I'd say she was the 1960s version of Florence Foster Jenkins.